In Brine: various weight, vacuum Pack; 1kg & 3 kg & 500gm buckets. 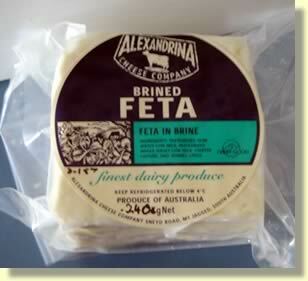 A firm, light and creamy cow's milk feta matured in brine. This cheese is made with skim milk which totals less than 1 fat.